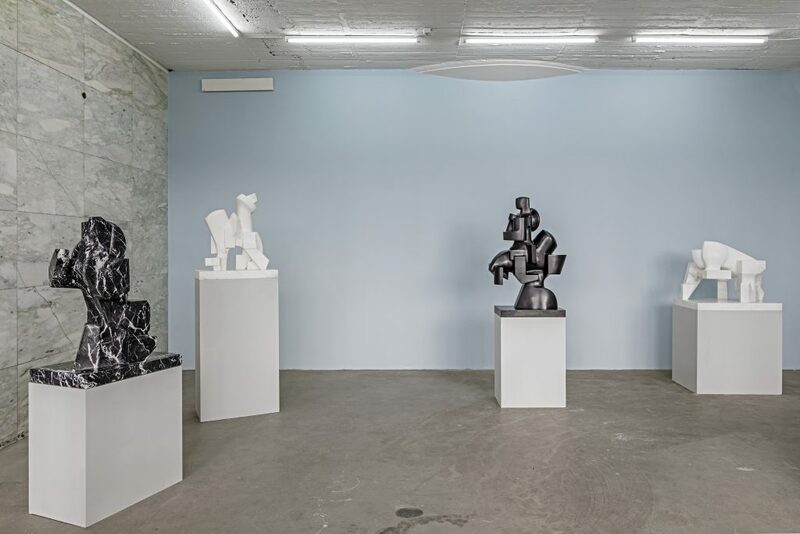 VI, VII is thrilled to present a major exhibition on the work of Ervin Løffler (1922- 2012) a Jewish-Hungarian sculptor who moved to Oslo in 1947 and had a vigorous practice there until his death in 2012. Løffler received an early arts education and survived the Holocaust in Budapest by hiding in his studio from the age of twenty to twenty-one. All but one of his early works, which were figurative were destroyed after the war when troops turned his studio into a stable. After a two-year period in a displacement camp, Løffler’s training as a stonemason enabled him to immigrate to Norway as a refugee. In the thirty-year period that followed he worked various jobs and served as a studio assistant to several sculptors. Løffler re-entered his practice after working through trauma from the war and started showing publicly again in the 1970s, thereafter returning to several recurring motifs in his work. Among these: riders on horses and musicians — in particular cellists, which he produced lively abstractions of in marble and bronze. 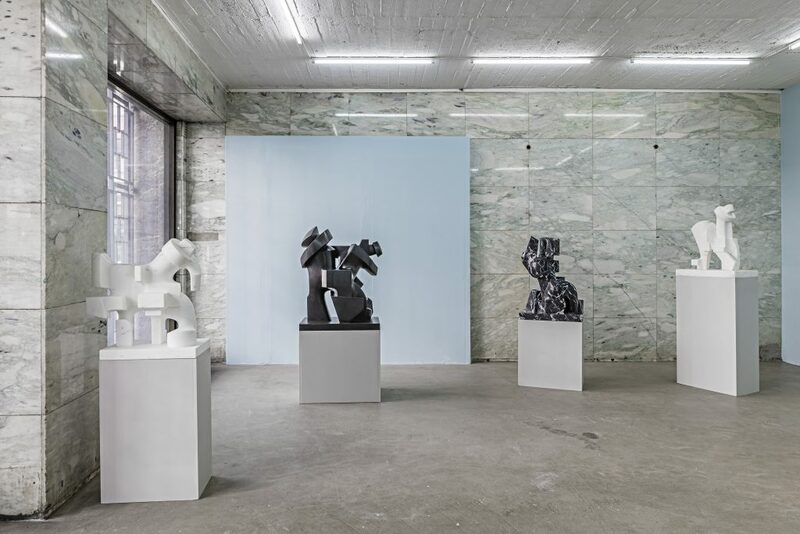 The collection of sculptures at VI, VII are from the period 2002-2005—late in Løffler’s life and all but one are from his ongoing series of horses and riders on horses. While all the sketches and plaster models for his works were produced in Norway, the finished sculptures were fully realized by the finest craftsmen in Italy. These striking examples of Løffler’s output served to translate international Modernism for a Scandinavian audience from the standpoint of being European and a foreigner in Norway. 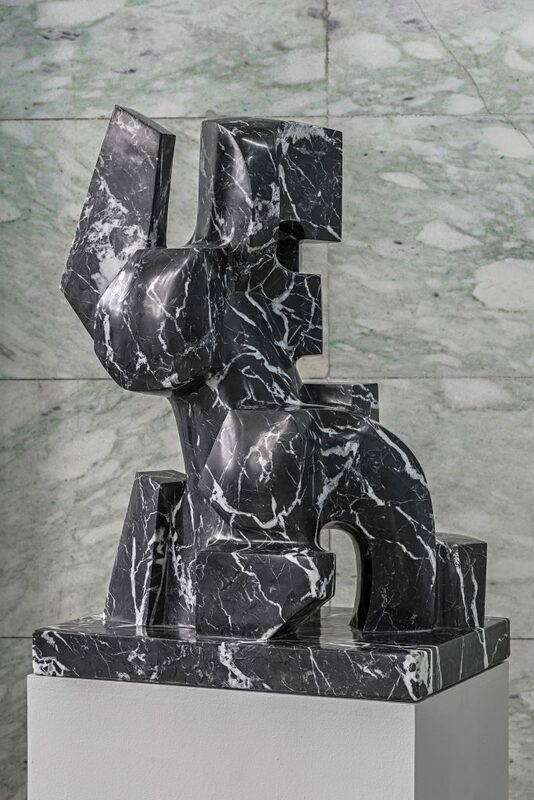 Løffler’s works are in the public collections of KORO; North Norwegian Art Museum, Tromsø; Museo dei Bozetti, Pietra Santa, Italy; Norway’s National Museum and the Oslo and Bergen city collections. Beloved by local artists and private collectors alike, his work is not widely known outside of Norway, and has very rarely been seen abroad. 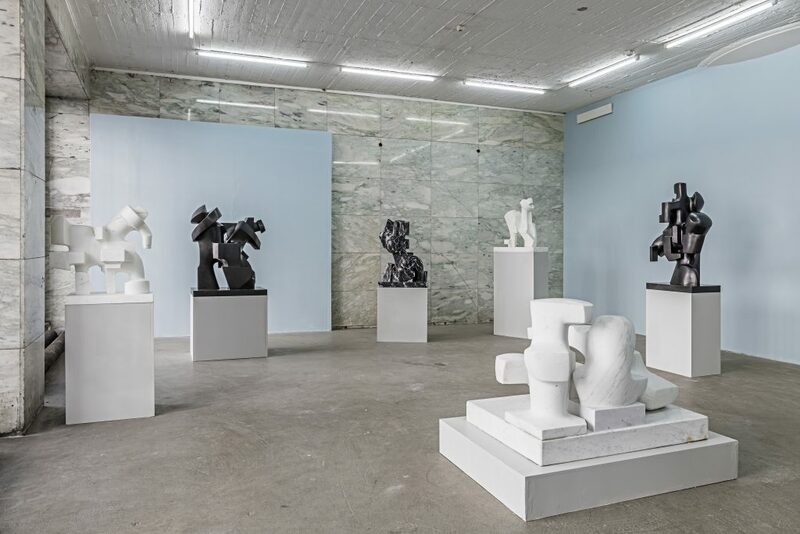 Notable exceptions include the International Biennial of Sculpture, Budapest (1973), a group exhibition at the National Museum of Monaco (1984) and an International Sculpture exhibition in Pietra Santa, Italy (1994). 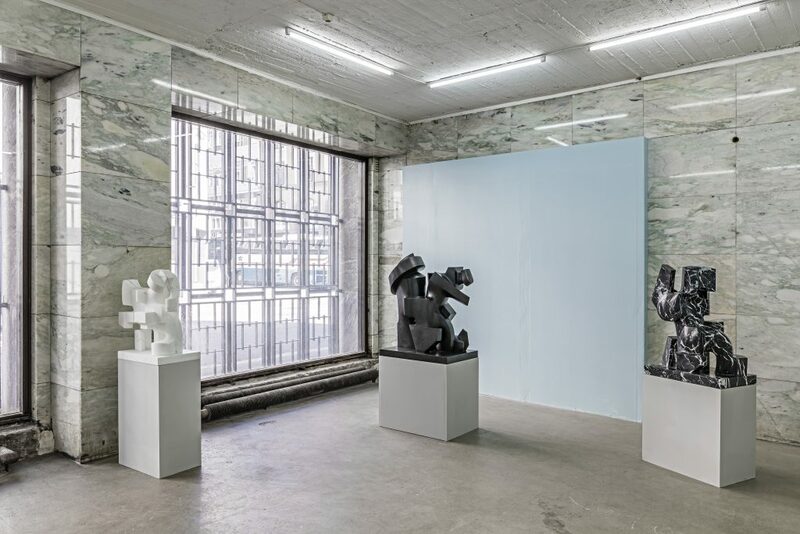 In 2017 work by the artist was presented at Independent art fair in New York marking the first presentation of Løffler’s work in the United States. 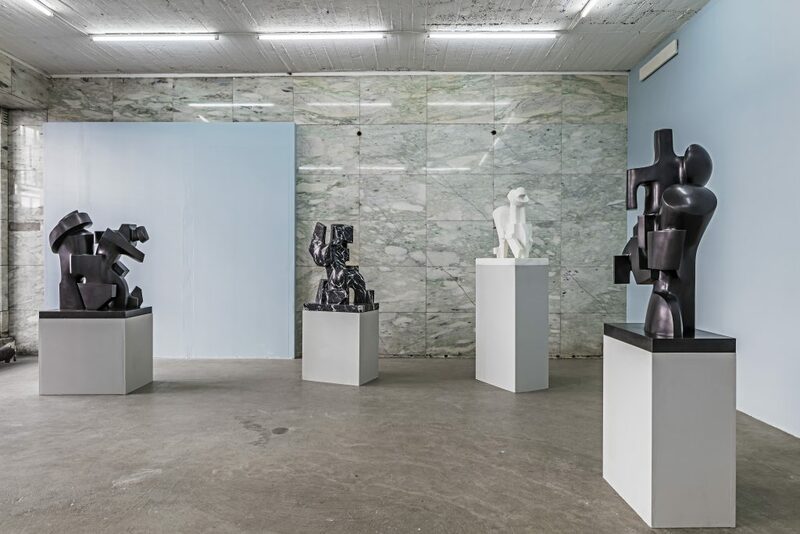 Ervin Løffler Installation view at VI, VII. VI, VII, Oslo, May 30, 2017 – August 15, 2017. 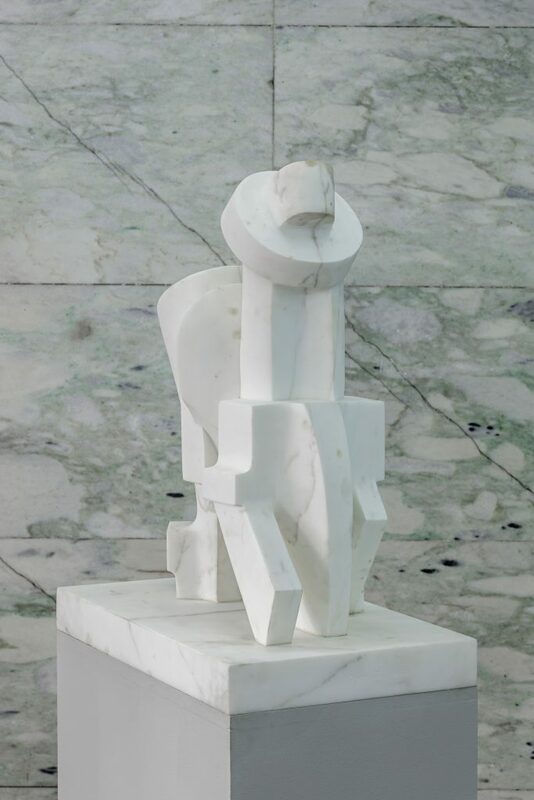 Marble, 82 x 59.9 x 40 cm (32 1/4″ x 23 5/8″ x 15 3/4″). 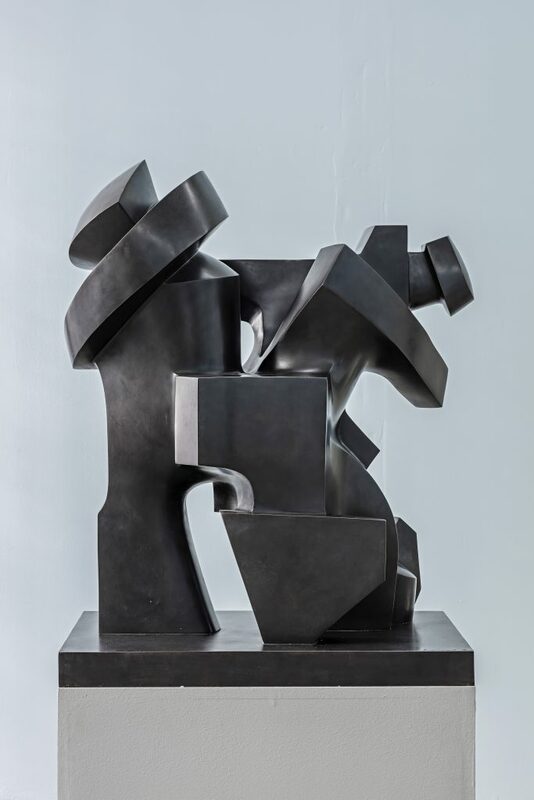 Bronze, 92.5 x 71 x 52 cm (36 3/8″ x 27 1/2″ x 20 1/2″).